During Daphne du Maurier’s lifetime there were many newspaper and magazine articles, reviewing her work or discussing her life and that of other members of the du Maurier family, but very little was published in book form. Richard Kelly, Professor of English at the University of Tennessee, Knoxville, is the only writer of note to publish a book about Daphne before she died. 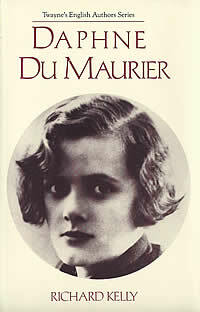 His book, Daphne du Maurier, was published in the Twayne’s English Authors series in 1987 and took the form of a short biography and literary criticism. 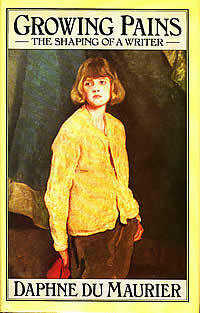 In it Kelly discusses a number of Daphne’s novels and short stories in fascinating detail. He did not actually meet Daphne until after his book was published, when he visited her at Kilmarth and found her to be very frail but utterly charming. He wrote one of the principal obituaries when she died and this obituary, which was published in The Independent newspaper on Friday 21st April 1989, can be found elsewhere on the website. Daphne du Maurier did, of course, write two autobiographical works which tell us about her in her own words. Growing Pains: The Shaping of a Writer, later known as Myself When Young: The Shaping of a Writer, tells us about Daphne’s life from when she was very young until she had completed her first novel, The Loving Spirit, and married Tommy. It leaves them as they set off for their honeymoon at Frenchman’s Creek on the Helford River. This book was written in 1977 and she used her diaries as a focus for the course of events. 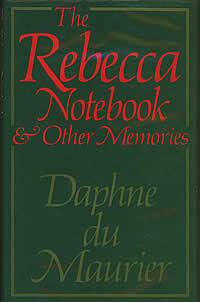 Once married she did not keep a diary so her second autobiography, called The Rebecca Notebook and Other Memories and published in 1981, was in the form of a series of essays about people, places and events that were important to her and provides us with a glimpse into her life and the things she felt strongly about. 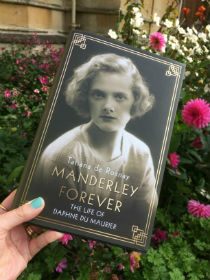 On these pages we will recommend du Maurier-related fiction, biography and other works that might be of interest to people who enjoy Daphne du Maurier’s writing.